9:45 a.m.: Job Seekers Session at Princeton Public Library presents “Money Saving Strategies during a Career Transition – Health Insurance, Taxes, Etc.” with Personal Financial Strategist Bill LaChance. Free. 8:30 a.m. to 3 p.m.: NAMI Harvest of Hope Annual Wellness Conference at the Presbyterian Church of Lawrenceville. Kevin Hines will deliver the keynote address entitled, “Cracked Not Broken.” Hines is a mental health advocate, award-winning global speaker, bestselling author and documentary filmmaker who tells audiences around the world about his unlikely survival after jumping from the Golden Gate Bridge. Register online at www.namimercer.org. For more information, call 609-799-8994, ext. 10. 9 a.m. to noon: Invasive Shrub Removal at Hopewell Borough Park. This event is sponsored by the Sourland Conservancy, Mercer County Park Commission, and Friends of Hopewell Valley Open Space. Advance registration is required by emailing lcleveland@sourland.org. 9:30 a.m.: EASEL Animal Rescue League 5K Run and 1 Mile Fun Walk at The College of New Jersey (TCNJ), 2000 Pennington Road, Ewing. 10 a.m. to 2 p.m.: Princeton Hospital Rummage Sale at Princeton Airport, 41 Airpark Road (off of Route 206). Shop used furniture, art, lamps, appliances, and more. Rain or shine (also on Sunday, October 2). The event is sponsored by the University Medical Center of Princeton at Plainsboro. 10 a.m. to 4 p.m.: Fall Family Fun Weekends at Terhune Orchards in Lawrenceville. Celebrate the fall season with pick-your-own apples and pumpkins, corn stalk maze, live music, delicious food, tractor-drawn wagon rides, and more (repeats every weekend through the end of October). 10 a.m. to 4 p.m.: The Arts Council of Princeton hosts a Batik Workshop at Morven Museum and Garden. Attendees will work with fiber and silk artist Lian Sawires to create 3 scarves. No prior experience necessary. The cost to attend is $117. Register online at www.artscouncilofprinceton.org. 1:30 p.m.: Historical Lecture on George Washington’s “Indispensable Men” during the Revolutionary War at Rockingham Historic Site’s Dutch Barn, 84 Laurel Avenue, Kingston. The program will be delivered by author Arthur Lefkowitz. 5:30 p.m.: The Princeton Singers perform original works written by Artistic Director Steven Sametz at Princeton University Art Museum (also at 8 p.m.). 8 p.m.: Jazz 100 at McCarter Theatre. Modern jazz artists will pay homage to the musical legacy of Thelonious Monk, Dizzy Gillespie, Ella Fitzgerald, Mongo Santamaria, and more. 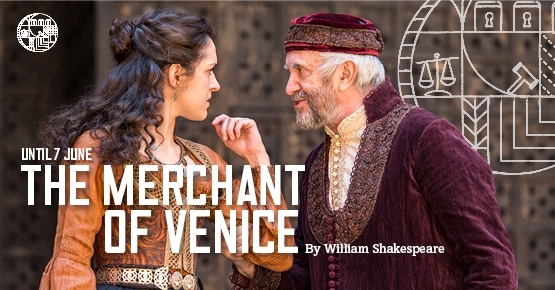 12:30 p.m.: Screening of Globe Theatre’s The Merchant of Venice at Princeton Garden Theatre.